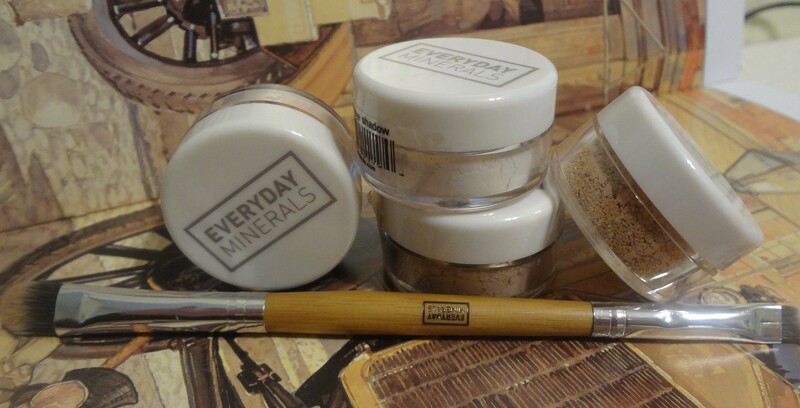 Hi beauty friends, last Wednesday I received a package of free samples which I have requested from EM (Everyday Minerals) to do this review. I’m very excited to do this since it’s my first time doing a collab. They have an amazing customer service personnel who are very helpful and friendly. Wonderful customer service! 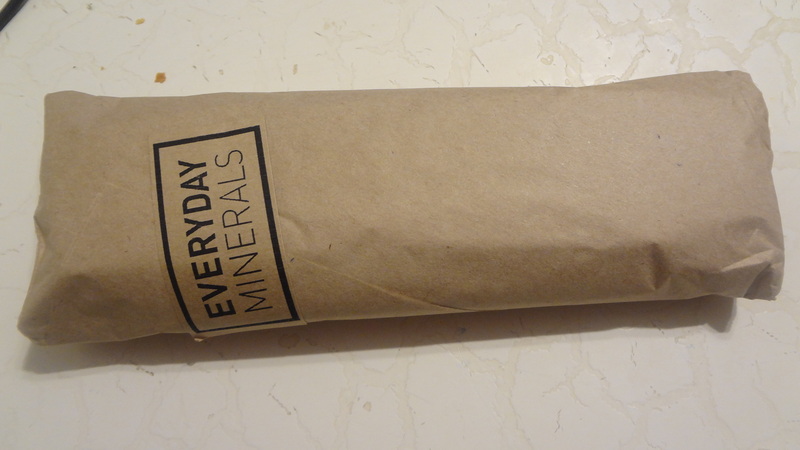 So, here is the package that I got from Everyday Minerals. Inside there were four cute jars of eye shadow dust and included was a double-perfect eyes shadow plus eyeliner brush. The packaging is simple and nice. Bottle jar is made of plastic component. I like the transparent jar because it’s easier to see the colors to pick. It weight: 0.06 oz each. The double perfect eye shadow and eyeliner brush is amazing. It’s light and convenient when I’m doing my eye shadow makeup. 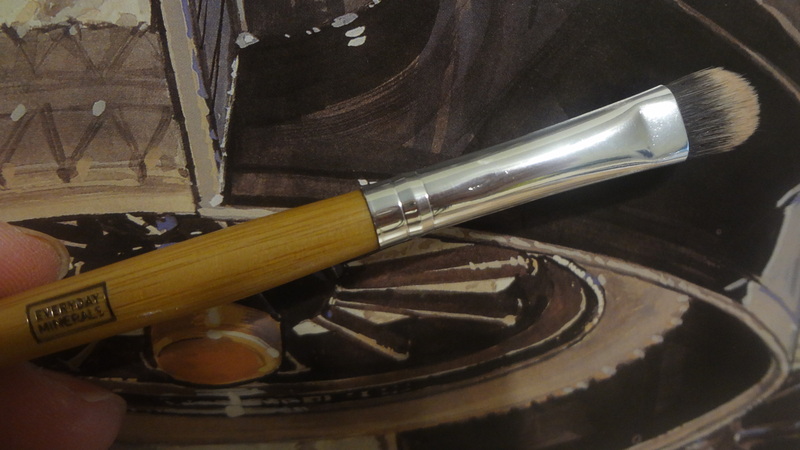 I really like the soft brush bristles and the 100% renewable bamboo is nice to hold. The flat rounded side is to blend eye shadow on lids and creases while the angled brush is more for the upper and bottom lash lines when applying eyeliner. It says that the brush is made 100% vegan and cruelty free. Na na hey hey – Totally matte and smooth, this crease free color is one you will want to use time and time again. More I see – to lighten out darker shadows. Perfect as a highlighter and has a sheen finish. I want you back – adding glimmer to your eyes without the use of shimmer. It’s versatile enough to easily pair with and blend with other shades. It’s heavier than the Tell Me the Reason shadow. I used my fingers to make these color swatches. It’s more of a neutral shades. 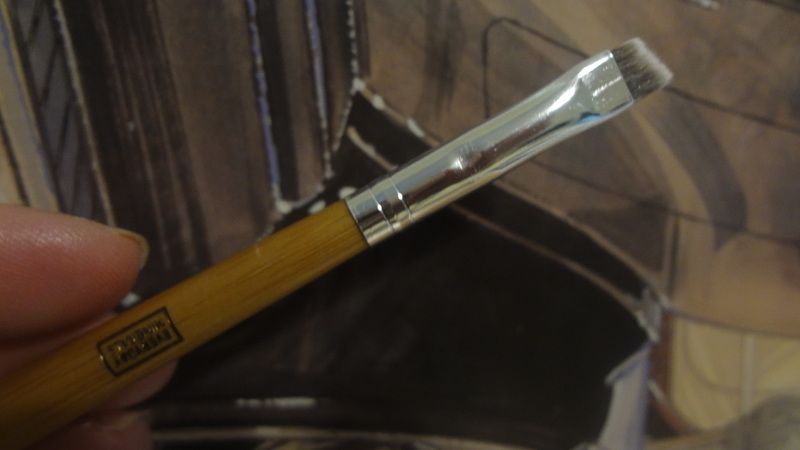 The color shades seems darker when applying with fingers than brush. The texture has average pigmentation. Inside the jar the powder does looks heavy but definitely not wet. 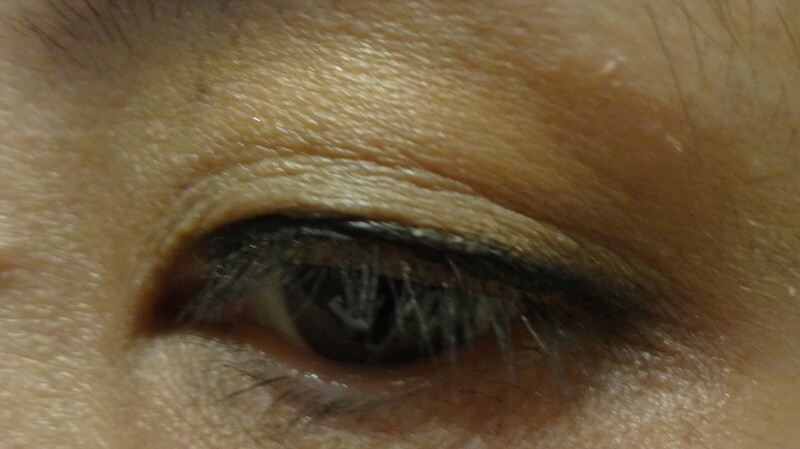 For my eye makeup, I used the brush by EM and the eye shadow in Tell Me Why and I Want You Back colors. I’m doing the dry application for this look. The eye shadows were soft and it blends pretty nicely except that the colors were too light for my skin tone. The downside is that it doesn’t have much of staying power and the neutral shade is definitely too light for me. It’s a little bit messy for the powders to keeps falling off as I applied them. It has very little color payoff. 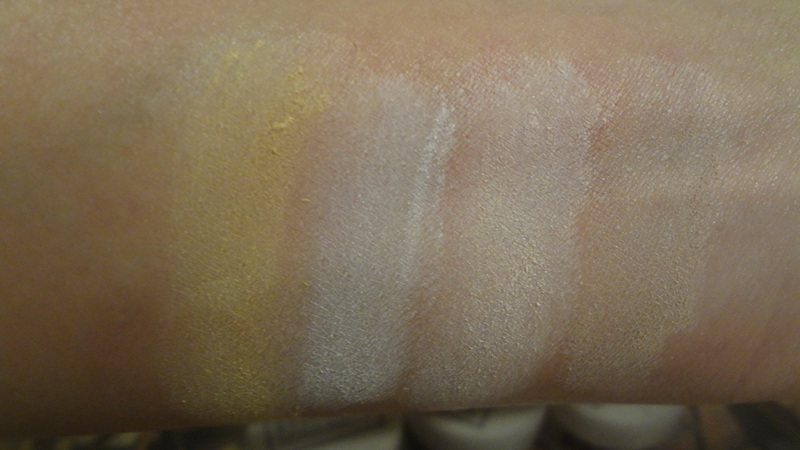 The good side is that the mineral formula does have a nice matte finish and it gives a natural color look. Here is the finish eye makeup look. Next, I tried using the wet application. 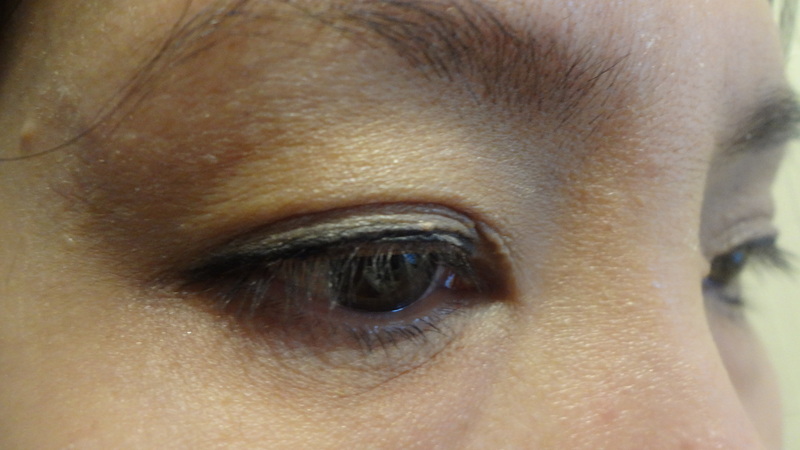 This time I used eye concealer by Bourjois as eye shadow base. 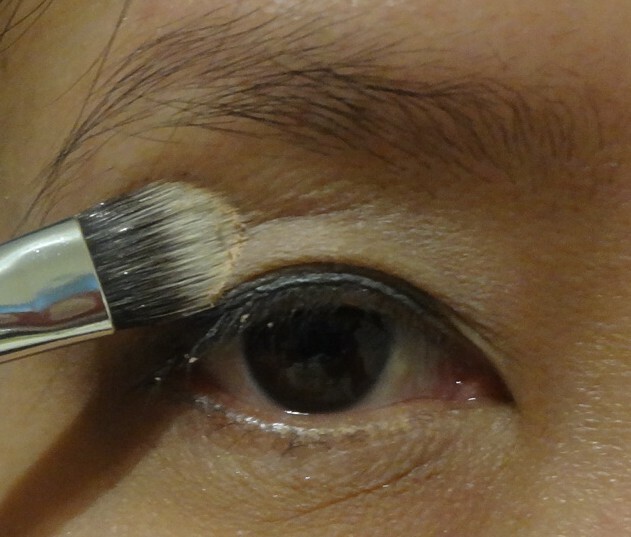 Then I brush the wet mixture shadow on my lids. 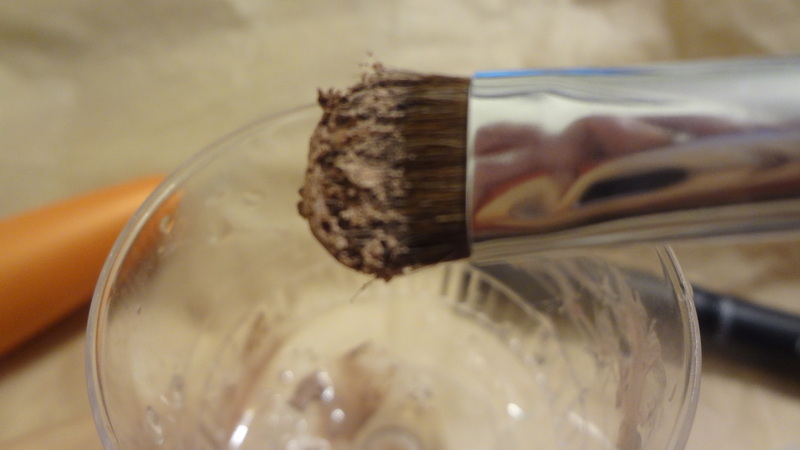 Before that, I prepare using the eye shadow with a dab of water and then mix them. It’s my first time trying it on eye shadow powder. Actually it feels like applying an eye mask. Once I applied them, I immediately wipe off the dried up powder gently and voila! Surprise! Surprise! It’s not cake-y and the color does looks deeper compared to dry method. I prefer the wet method more than the dry once. I like this natural look better. Overall, in my opinion, mineral products are a hit or miss. I for one thinks that it is a miss for me. No doubt it is a good product but it doesn’t work on me but I’m pretty sure there are many who will find these mineral powder formula works well on them. Some studies shows that the benefit of mineral makeup is that it doesn’t contain chemical that causes break out or aggravate sensitive skin. So, I guess that’s good news. 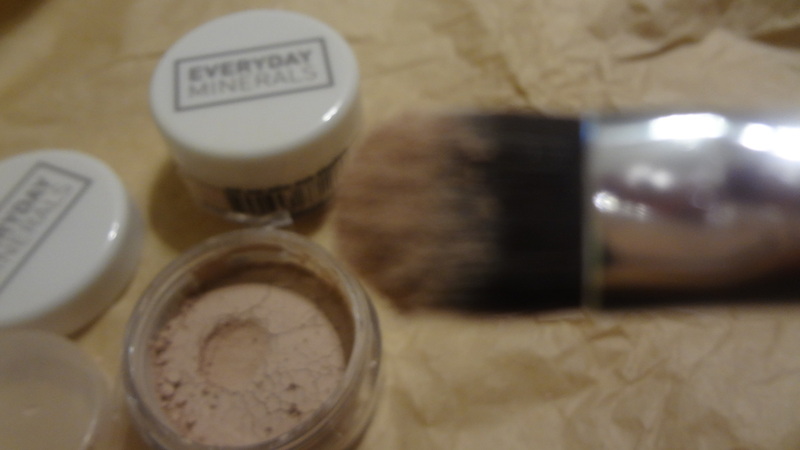 Everyday Minerals (EM), beliefs in No animal testing and 100% cruelty free. So, I hope you find this review helpful and interesting. I would recommend to those who like natural makeup products to try. If you like, you can find on their website the 7 pieces custom sample kit to try out. I’ll link them below. 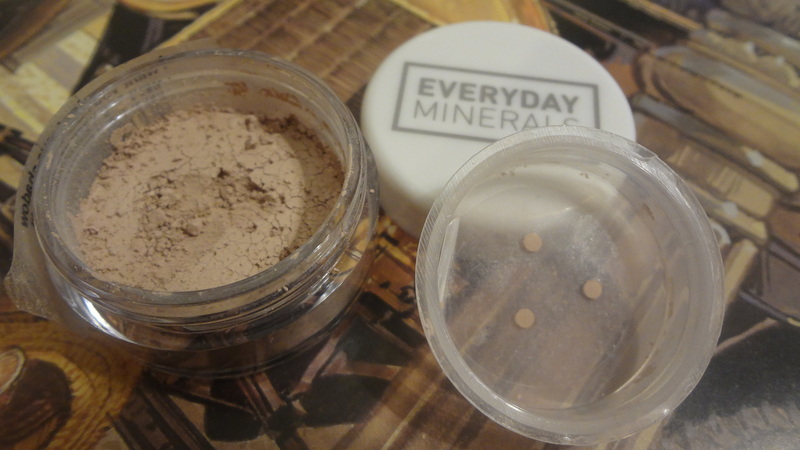 Have you tried any mineral powder makeup recently? Please share by leaving comment below. Thank you for reading and see you guys tomorrow. Next postBeauty Haul – Makeup Haul!